The Baby Boomers that pushed America towards its first environmental awakening in the late 1960s are now hitting retirement age. And the issues they put aside as they raised families and pursued careers are not only more relevant than ever—they’re inspiring this generation to embrace more sustainable lifestyles. The upshot for builders and developers who cater to today’s 55-plus seniors is clear: they need to think green to see green. But we’re not just talking solar panels, grey water systems, low-flow fixtures, compact fluorescent lighting, tankless water heaters and so on. Myriad features that were once considered cutting-edge are commonplace today thanks to a range of programs that push green building standards. While meeting these standards is an important part of the eco-building equation, especially for the many 55-plus seniors who demand these features in their residences, it’s only part of true sustainable building. In fact, the notion of what it means to be green has broadened and deepened since the Baby Boomers first embraced the concept five decades ago. We’ve gone from thinking green about buildings in the structural sense to thinking about living a totally sustainable life. And this has vast implications for the 55-plus housing market. How so? It’s a numbers game. By the stats, Baby Boomers are still the second largest cohort in the nation at 74.1million strong. And they’re definitely its wealthiest; they control 70 percent of all U.S. disposable income and are set to inherit $15 trillion in the next 20 years notes Fox Business. Yet today when we speak of high-performance, sustainable buildings, from single-family homes to multifamily apartments, we still really mean the sundry green features they incorporate in their design. Sure, lowering carbon footprints and costs with high efficiency mechanical systems and energy saving technologies; low-impact, renewable materials; zero VOC finishes, textiles and paints; and so on is important. But so is increasing a structure’s ability to maintain and enhance its resident’s comfort, improve their health, increase their productivity and foster and broaden their sense of community. Today, we can’t afford to think of homes and apartment buildings as stand-alones; they are part of an entire community. And to create sustainable lifestyles, the communities we design and construct, and the structures in them, must embrace features that yield sustainable impacts on their residents environmentally, economically, and socially. It’s the respected triple bottom line applied to builders and developers. While they have long embraced the environmental and economic components of sustainability into their projects, we’re now beginning to understand that its social dimensions are equally important. And to achieve true, holistic sustainability, builders and developers must embrace this paradigm in innovative ways. That means designing homes that not only incorporate state-of-the-art green technologies, materials, and design strategies, but also consider every aspect of the 55-plus senior lifestyle. In our work designing amenities, community spaces, and model home interiors for 55-plus senior communities and multifamily developments, these are the top five areas that architects and developers must explore to achieve holistic sustainability. Consider the entire environment: Our environments measurably impact health, well-being, and stress, according to research from the University of Minnesota. This is especially important for Baby Boomers, since aging lowers immunity, notes LiveScience. Also, the architecture and design of our homes influence mood, impact behavior, and facilitate or discourage interactions. This leaves the 55-plus seniors more susceptible to environmental stressors such as noise, crowding, bad air quality, inadequate lighting, disorganization, alienating design, and more. It’s critical for builders and developers to seek out sites that allow for green space surrounding communities, and for architects and designers to plan buildings and developments that promote community, nurture interactions between residents and incorporate green features that promote health and wellness. Design for health, wellness, safety and economy. This goes beyond using the building materials, appliances, fixtures, furnishings, and finishes that will create and sustain healthy, efficient, and cost-effective homes. An 18-year age span separates the youngest and oldest members of this forceful generation, and they will all experience the impacts of aging in very personal ways. It’s also critical to build homes that incorporate safety-oriented universal design features that are pertinent to younger and older seniors and allow them to age in place. These include single-level living; flexible, open plans that can accommodate walkers and wheelchairs; slip-free flooring; and convertible spaces for grandchildren, guests, or caretakers if necessary. Don’t sacrifice aesthetics. Like every generation, Boomers want their homes and environments to be aesthetically pleasing to them. But with money to spend, that often means upscale; luxury is high on their wish lists. While that means high-quality features throughout homes and buildings, it also means that projects must be sophisticated and neutral enough to please Boomers with a wide range of style preferences. But most significantly, the universal design features they incorporate must be attractive and indiscernible; this generation doesn’t want to be reminded that it is there until they need it. 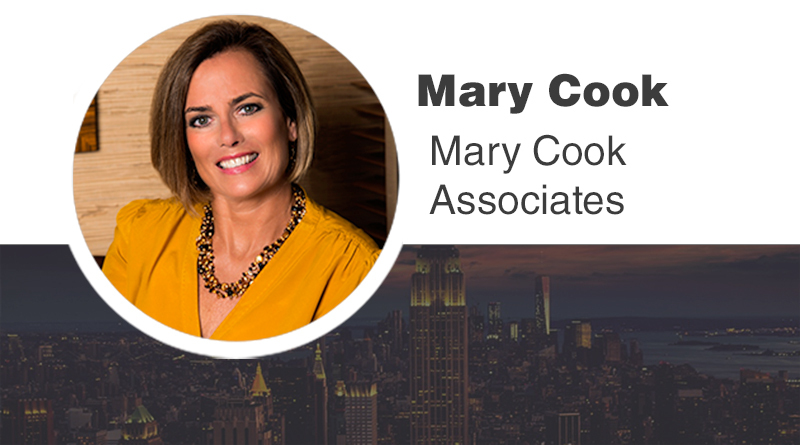 Mary Cook is the founder and principal of Mary Cook Associates (MCA), a full-service commercial interior design firm that focuses on the homebuilding and hospitality industries. She may be reached at www.marycook.com.